The three position has developed into the focal point of the Michigan offense. It’s no coincidence that arguably the two most prolific scorers on the Michigan roster have played on the wing. The position demands a versatile player that can not only shoot from deep and score the ball in the paint, but also create for others and provide a major boost in the rebounding department. Baseball refers to complete prospects as “five tool players” and that’s what John Beilein looks for at the three position. Michigan already landed two wing players in the class of 2012 that are capable of sliding up (Glenn Robinson III) and down (Nick Stauskas) the position ladder, versatile pieces to work around, but the staff has spent considerable time pursuing wing options in the class of 2013 as well. Here are some scouting notes, links to video and recruiting tidbits on some of the primary wing targets in the class of 2013. Indiana native has been on the Michigan radar for a long time due to playing high school ball with top 20 prospect Gary Harris. He has a laundry list of offers, including Indiana, Purdue, Xavier, Miami (FL) and Baylor, and told us in May that he expects a Michigan offer on June 15th. By most accounts, Michigan is in a strong spot in Irvin’s recruitment at this juncture. At 6-foot-6 Irvin is a long athlete with a great mid-range jumpshot that he can extend beyond the three point arc. He’s smooth with the ball in his hands but struggles to be more assertive on an Eric Gordon All-Stars team that has an abundance of high major wings and guards. His length is a tremendous advantage on the defensive end where he plays well both on and off the ball. Irvin plans to visit Michigan again this weekend for the Elite/College Practice Camp and, while he hasn’t trimmed his list, there is strong interest on both sides. Haney is another long shooter that plays on the wing that can put up points in bunches. He seems to have one or two 30-point games at almost every AAU tournament that the Michigan Mustangs have attended this spring. Haney is extremely long and loves to shoot the three point shot but he’s made strides toward diversifying his game, making a decisive effort to spend more time attacking the basket. He’s not an overwhelming athlete but has a solid handle for his size and knows how to play the game. His strong play this spring earned him the No. 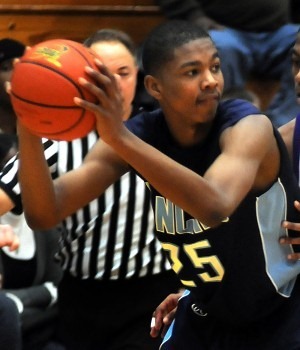 68 spot in Rivals.com’s class of 2013 rankings and his future is bright as he continues to diversify his game. Michigan has paid very close attention to Haney for quite some time and he plans to visit Michigan Thursday before attending Elite Camp over the weekend. Hatch put up big numbers – 24 points and 10 rebounds per game – in a smaller division of Indiana high school ball and has drawn heavy interest from the Michigan staff. Michigan ,Notre Dame, Virginia, Butler and Northwestern are the main schools recruiting him at this juncture and in April he declared that Michigan was probably his number one school. He’s missed all of the spring AAU season with an injured ligament in his ankle but is cleared and ready to go for Michigan’s Elite Camp this weekend. He’s the stronger of Michigan’s wing targets, measuring in at 6-foot-6 and 214 pounds most recently, and is able to use that strength to put up impressive rebounding numbers as well. Hill is a highly ranked wing guard from the state of Illinois that has risen up recruiting boards with strong play this spring. He’s an efficient scorer that can shoot the ball from all over the floor and seems to play the game with relative ease. He’s not the most explosive wing in the country but he’s plenty capable of taking the ball to the basket. Hill is a consensus 4-star, top-50 recruit ranked 35th, 36th and 45th on Rivals, ESPN and Scout respectively. He has taken recent visits to Missouri (offer), Illinois (offer) and Indiana and plans on taking trips to Ann Arbor and Columbus in the near future. Securing a visit is a good step for Michigan but Hill appears to have a ways to go in his recruitment and hasn’t started narrowing his list. 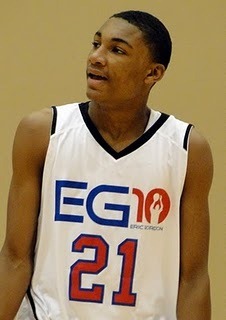 One of the more athletic forwards on Michigan’s board, Beachem plays on the Eric Gordon All-Stars with Zak Irvin. He’s the type of player that will just as soon bury a pull-up three as he will dunk on you in transition. Similar to Irvin, Beachem is very skinny but he’s a better athlete with great potential. 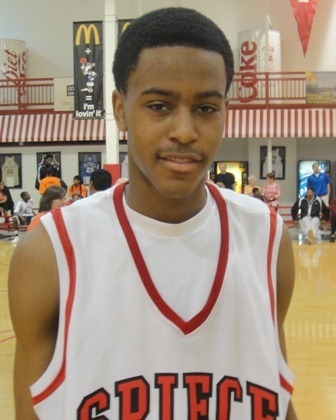 Ranked 64th by ESPN and 42nd by Rivals, Beachem has impressed scouts despite playing on a loaded AAU team. Several schools are involved in his recruitment but only Purdue has offered at this time. Most recently he visited Michigan State last week and plans to attend Michigan’s Elite Camp this weekend. James Young: Strong and athletic wing guard put up monster numbers at Troy High during his sophomore season. Some academic concerns linger, and he missed some time during the spring due to injury, but Young might be the most complete in-state prospect. Byron Zeigler: Michigan State, Indiana, Iowa State and Central Michigan are all very involved but Zeigler has also mentioned Michigan from time to time. Another strong and athletic wing, Zeigler is listed at 6-foot-6 and is the No. 60 prospect on Rivals.com. Vince Hunter: Might develop into more of a combo three-four type of forward but has a strong body that is well equipped for the next level. 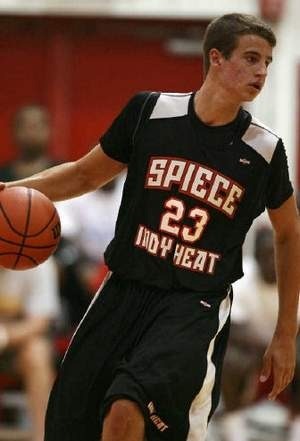 Nathan Taphorn: AAU teammate of 2013 PG target Jalen James, Taphorn is a 6-foot-6 shooter than shot the lights out at Spiece in May. He’s recently visited Illinois and is drawing interest from Illinois, Northwestern and Michigan after a strong spring. 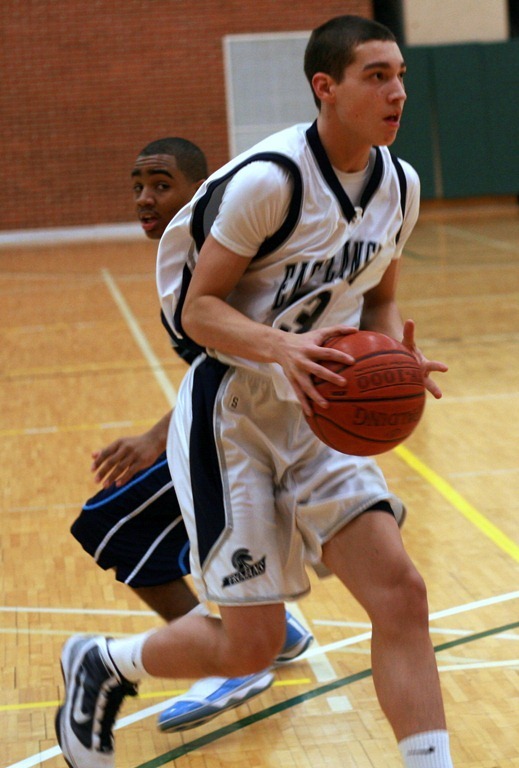 Josh Kozinski: Knock down shooter for the Mustangs will attend camp in Ann Arbor. 1. “Mutual interest” is obviously subjective and visits were the primary metric used. 2. This board is far from a complete list and is just our best estimation of the situation as it stands today. 3. School lists are alphabetical. 4. If you have corrections, comments or additions don’t hesitate to e-mail me at dylan@umhoops.com.